Human Rights Activists News Agency (HRANA) – Iranian authorities have tightened their grip on union activities in recent years, and teacher union activists are far from the exception. Indeed, if representatives of various industries have been met with blowback for organizing in defense of their colleagues’ collective rights, a retrospective of crackdowns in the education field gives reason to believe that authorities reserve particular vitriol for the nation’s educators. So far this year, Iranian teachers and educator-activists have been arrested by security agents, brought to court under various allegations, issued lengthy prison sentences, flogged, and exiled. On this turning of Iran’s new academic year, HRANA looks back at the cases of several teachers who were persecuted by authorities this year. On May 10, 2018, the Council for Coordination of Teaching Syndicates urged teachers, be they retired or employed, to assemble in protest across the country. In Tehran, several of those who responded to the call were beaten and arrested and five days later Habibi was transferred to Great Tehran Penitentiary; all but Habibi were released on bail. Now, Habibi’s case—which recently inspired more than 1400 civil and union activists to write to Iran’s Supreme leader demanding that he receive medical treatment—will be reviewed in Branch 36 of the Tehran Appeals Court, presided by Judge Seyed Ahmad Zargar. Habibi’s attorney Hossein Taj told a correspondent from the state-run news agency IRNA on Monday, September 17th that a date for the hearing has yet to be set. Cumulatively, his charges would carry a sentence of ten years: seven and a half years for “National-Security Related Crimes”, 18 months for “Propaganda against the Regime”, and another 18 months for “Disrupting Public Order.” In addition to prison terms, he was dealt a two-year ban from political and civic activities, a two-year travel ban, and 74 lashings. Habibi suffers from chest pain and throat and lung infections secondary to assault wounds inflicted by authorities during his arrest, yet continues to be denied medical treatment. On the one occasion his medical leave was granted, according to HRANA reports, the receiving hospital dismissed him without treatment, sending him back to Evin Prison’s Ward 4 on Monday, September 3, 2018, where he has remained since. Habibi’s case–particularly his compromised medical condition–recently drew the support of teacher organizations abroad. In a letter addressed to Ayatollah Ali Khamenei, the French trade unions SFDT, SGT, FSO, Solidaires, and UNSA held the Supreme Leader accountable for Habibi’s fate, and called his imprisonment a violation of both human rights and the fundamental freedoms of syndicates. In May 2018, General Secretary of Education International (EI) David Edwards vehemently denounced Habibi’s arrest and detention, demanding his immediate release in a letter to Iranian president Hassan Rouhani. The Teachers’ Union Association of the Province of Tehran has publicly condemned the recent persecution of union advocates, also demanding that the necessary steps be taken for Habibi’s immediate release. Habibi was arrested at his workplace on March 3, 2018 and jailed for 44 days in Evin Prison. On April 15, 2018, he was released on a bail of approximately $20000 USD (2.5 Billion Rials) pending his trial the following August. A letter from Habibi’s HR office confirmed he is no longer receiving his salary. Mahmoud Beheshti Langroodi, former spokesman of the Teachers’ Union Association, has been persistently following up on his requests for conditional release, having already served half of the five-year sentence he began September 6, 2015 in Evin. Authorities have thus far been unresponsive. According to his wife Adineh Beigi, Langroodi started his teaching career in 1983 and remained an hourly employee for the first seven years, suspended in the recruitment process due to his allegedly oppositional intellectual leanings. In the genesis of the Teachers’ Union Association in the early 2000s, he was one of the first to join its board of directors, and was elected general secretary for two terms. He has also served on the board as an inspector and spokesman. Langroodi had been sentenced to a total of 14 years in prison for three separate cases tried in revolutionary courts, all presided by judges known as “Salavati and Moghiseh.” In April 8, 2017, with the application of article 134, which limits defendants of multiple charges to the single heaviest among their sentences, his 14-year prison sentence was reduced to five years. Now, having served two third of his prison term, his family awaits his release. On July 2, 2018, Langroodi went on hunger strike to protest the continued mistreatment of political prisoners, and wrote an open letter imputing the eventual consequences of his hunger strike on those who had put him behind bars, particularly the judges and prosecutor’s office. On July 16th of this year, the Teachers’ Union Association of Tehran Province issued a statement condemning the judiciary’s disregard of the law, and criticizing the assistant prosecutor in charge of Evin Prison for negligence. The letter validated the demands of Beheshti and his fellow imprisoned teachers, urging them to cease their hunger strike. Moved by his comrades’ letter and concerned about his declining health, Beheshti ended his hunger strike after 14 days. Langaroudi has been summoned, interrogated, arrested, and detained several times during the past few years for his peaceful trade union activities. Esmail Abdi, former secretary general of the Teachers’ Union Association, is serving a 6-year sentence in Evin Prison. On May 14, 2016, after serving 11 months, he was released on bail until his trial the following October, when Branch 36 of the Tehran Appeals Court upheld his six-year prison sentence. He has been in Ward 8 of Evin prison since being arrested in his home by security forces on November 9, 2016. Under Article 134, Abdi’s sentence should be limited to the heaviest one of his multiple sentences, and thus should not exceed five years. It remains to be seen if the judiciary will uphold Article 134 in his case. Over the course of Abdi’s imprisonment, several groups have spoken out against his treatment by the judicial system and pleaded for his release, including the Syndicate of United Bus Company Workers of Greater Tehran (known as ‘Sandicaye Sherkat Vahed’), the International Education Organization, the Iran Teachers’ Organization, a number of individual labor and union activists, the Coordinating Council of Iranian Teachers’ Trade Associations, the Kurdish Teachers’ Association, and the Canadian Teachers’ Federation. In April 24, 2018, Esmail Abdi staged a 23-day hunger strike to protest the “widespread violation of teachers’ and workers’ rights in Iran.” Amnesty International was prompted by the urgency of his hunger strike to issue their own demand for Abdi’s release on April 28, 2018. Abdi had previously gone on hunger strike one year earlier in protest of his trial proceedings, the judiciary’s lack of autonomy, and the continued unlawful repression of teachers and labors union activists. More than a month into the strike he was transferred to a hospital and began eating again on June 7th at the requests of his family and the Teacher’s Union Association. Abdi was the 2018 recipient of the National Association of Schoolmasters Union of Women Teachers (NASUWT) Solidarity Award at its annual conference in Birmingham, England. Mohammad Sani, a teacher from Bushehr, southern Iran, was sentenced to two years in prison and 74 lashings for his union activities, which landed him a conviction of “spreading misinformation and disturbing public opinion” this past August. He is currently waiting for the Enforcement Department to deliver his summons and begin his prison time. An informed source previously told HRANA that Sani’s charge is related to the widespread teacher protests in 2015, which prompted the County Governorate of Dashtestan, Bushehr province to open a case against the protestors. “When Mr. Sani responded to the county governor’s insults to the teachers at the sit in, they opened a case on him,” the source said. In October 2015, Iranian teachers staged peaceful protests across the country, demanding the release of their imprisoned colleagues, the fulfillment of union requests, and public consideration for the threatened livelihoods of educators. In Ward 4 of Evin Prison, Ruhollah Mardani is currently serving a sentence of six years, plus a two-year ban on typical citizen rights including travel. Mardani started a hunger strike April 24th 2017 to protest his detainment and stalled court proceedings while in prison. When authorities promised to accelerate their investigation of his case on May 21st, he began eating again after twenty seven consecutive days of strike. An informed source previously told HRANA that the Education Security Office cut off his salary in the first month of his arrest, arguing that he could not be paid during his detention. “His job security is under threat right now,” the source said. Mardani was working as a consultant teacher in region 4 of Karaj while studying at Tehran University. Bakhtiar Arefi began serving his 18-month prison sentence on Tuesday July 24, 2018 in Mahabad Prison. He was arrested January 25, 2015 for non-union reasons including “Membership in a Reformist Organization” and released on bail after one month. Shortly thereafter in Revolutionary Court on February 25, 2017, Arefi was sentenced to three years in prison. His sentence was upheld in Branch 40 of Supreme Court, only to be later reduced to eighteen months in Branch 13 of Urmia Appeals Court on October 30, 2017, via application of Article 18 of Islamic Penal Code. If he serves his sentence as indicated, he will be released December 23, 2019. 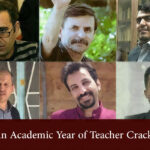 Iranian teachers who have faced judicial persecution along with their unionist colleagues include Mokhtar Asadi, Taher Ghaderzadeh, Rasool Bodaghi, Aliakbar Baghani, Nabiollah Bastan Farsani, Abdolreza Ghanbari, Mahmud Bagheri, Mohammad Davari, Alireza Hashemi, Jafar Ebrahimi, Hashem Khastar, Mohsen Omrani. Human Rights Activists News Agency (HRANA)- Mohammad Davari, a civil rights activist from Yasouj in the province of Kohgiluyeh and Boyerahmad, was read his charges in Branch 4 of the Investigation and Prosecution office on September 19th, after presenting himself in response to a summons he received last week. After a round of questioning, judicial authorities issued a charge of “disseminating propaganda against the regime” and released him on bail pending completion of the investigation. Contrary to the judge’s implication, Davari contests that his notes only touched on such subjects as the Tehran-Yasouj plane crash, labor conditions, and the environmental conditions in his home province. The books in question, published by Davari with the permission of the Ministry of Culture and Guidance, were about women’s rights, culture, and art. Davari was arrested by Ministry of Intelligence forces on August 10, 2018. During his custody and until his August 27th release on a 200 million toman (approximately $20,000 USD) bond, he was denied medical care. He was previously detained on March 5, 2018, for taking part in widespread popular protests in Iran. He was released ten days later on a 50 million toman (approximately $10,000 USD) bail. Born in Dehdasht, about 90 miles west of Yasouj, Davari is a master’s student of political science who faced temporary detention on a prior occasion for pulling down a banner bearing the photo of late politician Hashemi Rafsanjani. 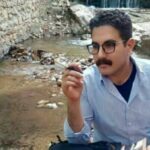 Human Rights Activists News Agency (HRANA)- Mohammad Davari, a 26-year-old civil rights activist from the city of Yasouj (southwestern Iran) who was arrested by Ministry of Intelligence forces on August 10, 2018, was released around noon local time on August 27th on a 200 million tomans (approximately $20,000 USD) bail pending the completion of the investigation into his case. Mohammad Davari was held incommunicado in the Yasouj Intelligence office before he was transferred to Yasouj Central Prison. He was previously detained on March 5, 2018, for taking part in widespread popular protests in Iran. He was released eight days later on a 50 million tomans (approximately $10,000 USD) bail. The authorities reportedly told Davari’s family that he was arrested on the charge of “Acting against national security through disturbing the public peace of mind”. Born in Dehdasht (150 km west of Yasouj), Davari is a Masters student of Political Science. He was arrested another time following the death of Hashemi Rafsanjani when he pulled down a banner bearing Rafsanjani’s photo. He was later released on bail. Human Rights Activists News Agency (HRANA) – Despite vomiting blood and severe difficulty breathing, detained civil rights activist Mohammad Davari has yet to see a doctor. Detained since August 10, 2018, in Yasouj Central Prison where interrogators dealt heavy blows to his chest and abdomen, he has twice requested medical attention for his subsequent injuries, a source close to his family said. Prison officials have denied his requests. Multiple visits and inquiries to the Intelligence Office and the Judiciary of Yasouj have done little to assuage Davari’s family’s concern for his wellbeing, as authorities thus far have refused to comment on his case or the reason for his detention. At the time of Davari’s arrest at his parents’ home in Yasouj, agents confiscated some of his personal belongings such as his mobile phone, laptop, and written notes. Mohammad Davari has previously been on the authorities’ radar. The Islamic Revolutionary Guard Corps (IRGC) apprehended him on March 5, 2018, in connection to his engagement in protests that filled the streets of different Iranian cities in spring of 2018. After eight days in detention, he was released on a bail of 500,000,000 Rials (approximately $12,000 USD). Relative to that arrest, authorities reportedly told Davari’s family that he was being charged with “acting against national security through disturbing the public peace.” He was arrested and released on bail in another incident following the death of Hashemi Rafsanjani, for pulling down a banner bearing Rafsanjani’s photo. Mohammad Davari, 26, is pursuing a master’s degree in Political Science. 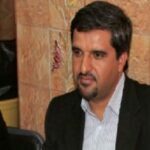 Human Rights Activist News Agency (HRANA)- Mohammad Davari, a civil rights activist from the city of Yasouj (southwestern Iran), was arrested by Ministry of Intelligence forces on August 10, 2018, at his parent’s home. Mr Davari was reportedly held incommunicado for three days before he was transferred to Yasouj’s central prison. Mohammad Davari was previously detained on March 5, 2018, for pulling down a banner during the widespread popular protests in Iran. He was released eight days later on a 50 million Tomans (approximately $10,000 USD) bail. The authorities reportedly told Mr Davari’s family that he was arrested on the charge of “Acting against national security through disturbing the public peace of mind”. Mohammad Davari, 26, was born in Deshdasht and is studying master of Political Science. He was arrested another time following the death of Hashemi Rafsanjani when he pulled down a banner bearing Rafsanjani’s photo. He was later released on bail. HRANA News Agency – Mohammad Davari, a Political prisoner at Evin Prison was released today after serving a five-year sentence. HRANA News Agency – Mohammad Davari, political prisoner was sentenced to forty-five excessive days in prison, when he was expecting to be released after he served his sentence. HRANA News Agency – Mohammad Davari has been transferred back from ward 240 to ward 350 of Evin prison on April 23rd. HRANA News Agency – 31 political prisoners were transferred to solitary confinement and their belongings were destroyed, some of them are in critical condition in solitary confinements. 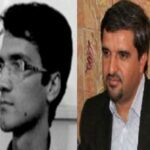 HRANA News Agency – Mehdi Khodai and Mohammad Davari have returned to the section 350 of the Evin prison while their vacation has been finished.